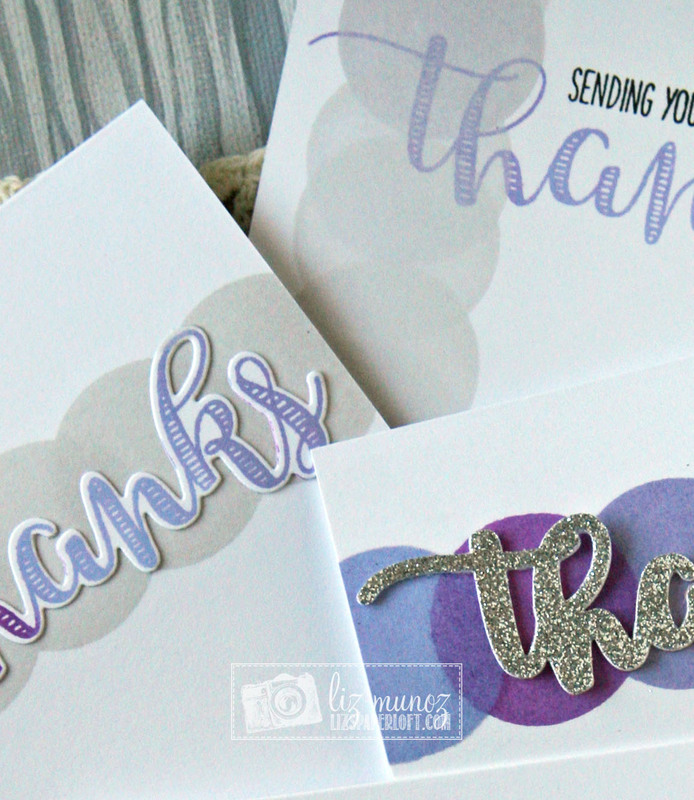 Liz's Paper Loft: MCT Thoughtful Thursday ~ thanks! 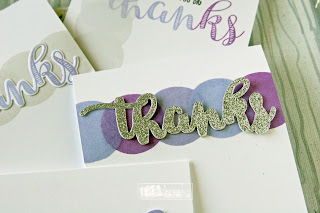 Howdy it's Thoughtful Thursday over at My Creative Time! I had quite a few "thank you's" I needed to send from Christmas so this was the perfect day for me to be scheduled! Even though I made four different cards, I only used two sets and the same ink colors which made this a quick and easy project. 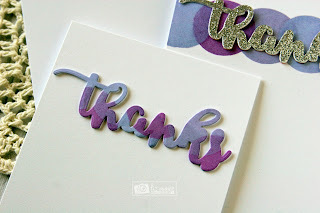 Also using the MISTI, with the solid circle stamp allowed me to stamp the solid circle several times. All I had to do was move the card panel side to side or up and down. For the card below, I stamped the circle background but sort of messed up. So then I decided to die cut the "thanks" out of it. I think it ended up being my favorite of the group! Oh Miss Liz What Pretty & Cute Thank You cards!! Cute Oopsie share....and yep it worked out Perfectly Perfect!! Super Clever & Creative you are!! YOU so ROCK!! Your stamping mistake did turn out very nicely...great way to use a background that didn't go as planned...nice save! Your cards are beautiful.